Sinks can be purely functional or handcrafted works of art. 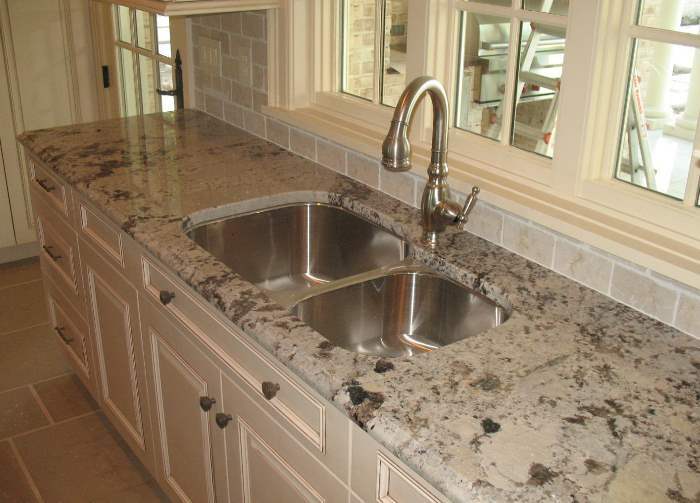 Whether your sink is an undermount, topmount, vessel or integrated, Solid Surface Designs, Inc. will help you create the kitchen or bath countertops you desire. We can help you purchase from either the manufacturer’s selection of integrated solid surface sinks or you can choose from our selection of stainless steel sinks and porcelain vanity bowls. 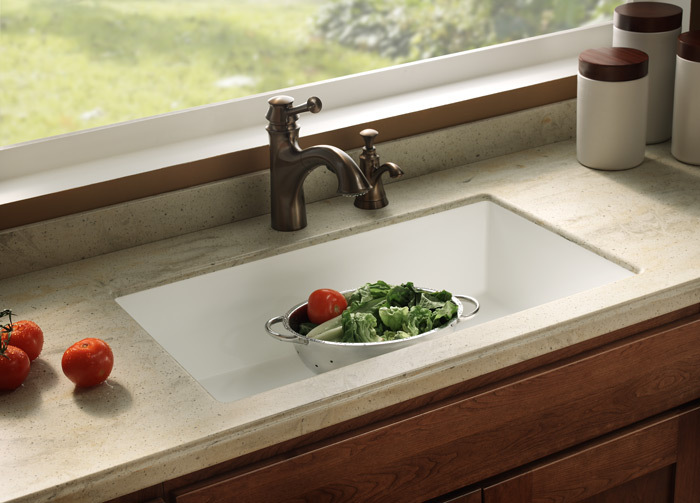 The seamless and easy to clean transition from countertop to sink is a hallmark of a solid surface countertop. Sinks are manufactured from the same non-porous, easy to clean material as the countertop. Whether you choose Avonite, DuPont Corian, LG Hausys HiMacs, WilsonArt Solid Surface or Livingstone you can find a solid surface kitchen sink, bar sink or vanity bowl that can be integrated into your new solid surface countertops. Solid Surface Designs, Inc. offers a complete line of stainless sinks and porcelain vanity bowls.